Address all your skin woes with SugarBabys go anywhere facial fixer uppers. Salon style at home facial treatments made with natures essential active ingredients and infused with the super hydrating and nurturing benefits of coconut fruit extract. 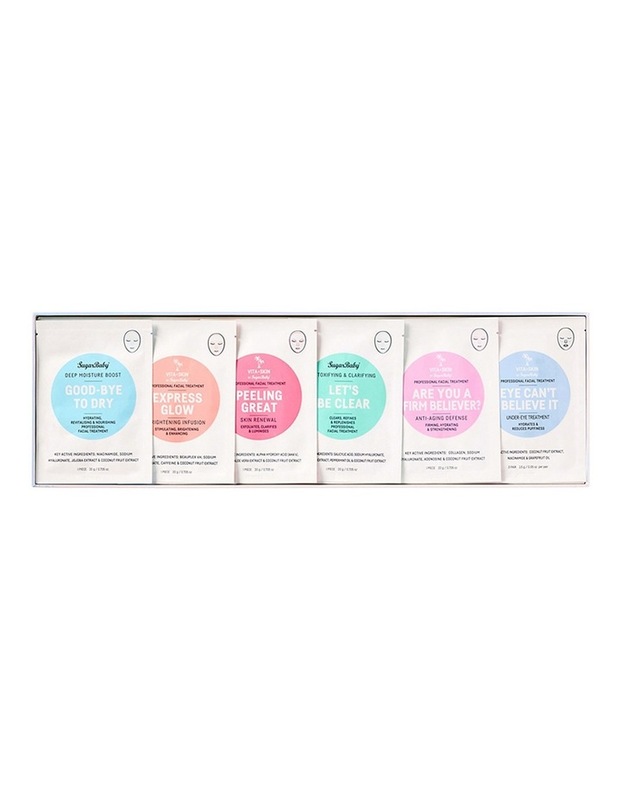 In all, six essential face mask sachets each scientifically formulated to suit the demands and needs of all skin types.